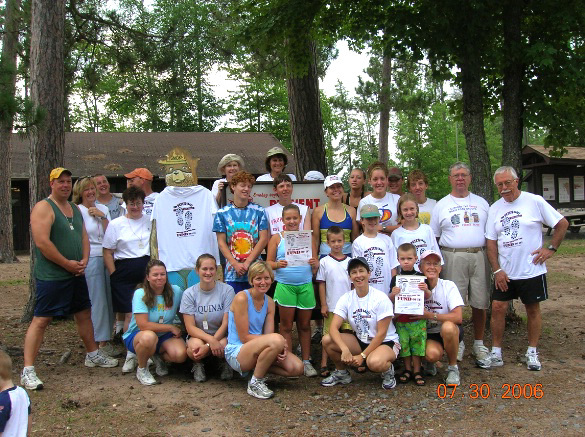 This is our Family Camp Group that has been spending a week together during the summer, living in community, for over forty years. This is how we met the Francois Family and our friendship started. Peter was a camp attendee for at least six years. Most of the people in the group shot know Judy and Jim and some of us knew Peter also. These pictures were taken at the Lake Nesbit Organizational Camp outside of Sidnaw, Michigan. This is located in the middle of the Upper Peninsula. On average we have 14 families in attendance with 70-80 people total.